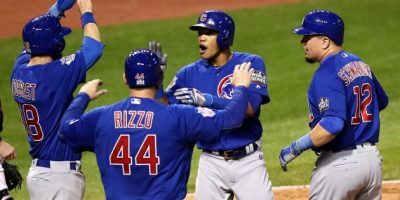 The Chicago Cubs win over the Cleveland Indians in Game 5 to stave off elimination averaged 23.6 million viewers on Fox and 24.1 million including Fox Deportes and Fox Sports Go. It was the most-watched game 5 since 1997’s Marlins-Indians drew 24.2 million The game drew a 13.1/21 national household rating/share the best game 5 rating since 2003’s Yankees-Marlins (13.2/21) and was the most-watched baseball telecast since 2011’s Rangers-Cardinals game 7 (25.4 million)…. The Chicago Cubs win over the Cleveland Indians in Game 5 to stave off elimination drew a massive 15.3 overnight rating, easily beating out the the Eagles-Cowboys Sunday Night Football contest which drew an 11.6 overnight rating, The Dallas Cowboys win over the Philadelphia Eagles in overtimes drew an 11.6 overnight rating, down 19 percent versus last year’s Broncos-Packers week 8 game that scored a 14.3 overnight rating. 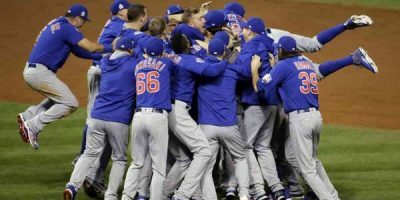 The Cleveland Indians 1-0 win over the Chicago Cubs in game 3 to take a 2-1 lead in the 2016 World Series averaged 19.4 million viewers. The game peaked with 24.5 million viewers from 11:30-11:41 PM ET. That’s up 47% versus game 3 of Royals-Mets last year. Including Fox Deportes and Fox Sports Go the game averaged 19.78 million viewers edging out the 19.77 million combined viewing for game 1….